Construction of planned improvements to a challenging hairpin bend on the A9 at Berriedale Braes is expected to start this year, Transport Scotland has said. 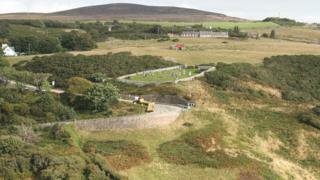 The trunk road drops from a height 150m (492ft) to 20m (65ft) as it enters a valley at the braes in Caithness. There have been accusations from business leaders and politicians that the problem with this section of the A9 was being "ignored". Four companies have been invited to bid for the £9m construction project. The companies are RJ McLeod (Contractors) Ltd, Morrison Construction, Roadbridge UK and Wills Bros Civil Engineering Ltd. The next stage of procurement process will see the four bidders enter into a commercially sensitive period of competitive dialogue which is anticipated to last until summer. Transport Minister Humza Yousaf said: "The Scottish government remains committed to delivering this much needed improvement and today's announcement takes us another step closer towards delivering these benefits for road users in the north of Scotland."